Lineage. Organized as 11 Aero Squadron (Day Bombardment) on 26 Jun 1917. Redesignated: 11 Squadron (Bombardment) on 14 Mar 1921; 11 Bombardment Squadron on 25 Jan 1923. Inactivated on 31 Jul 1927. Activated on 1 Jun 1928. Redesignated: 11 Bombardment Squadron (Heavy) on 6 Dec 1939; 11 Bombardment Squadron (Medium) on 15 Sep 1942; 11 Bombardment Squadron, Medium, on 9 Oct 1944. Inactivated on 2 Nov 1945. Consolidated (11 Jan 1982) with 11 Pilotless Bomber Squadron, Light, which was constituted on 17 Jun 1954. Activated on 1 Sep 1954. Redesignated 11 Tactical Missile Squadron on 8 Jun 1955. Inactivated on 18 Jun 1958. Activated on 1 Oct 1982. Inactivated on 31 May 1991. Redesignated 11 Bomb Squadron on 24 Jun 1994. 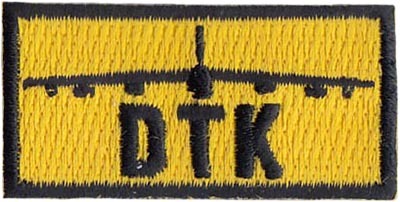 Activated on 1 Jul 1994. Assignments. Unkn, 26 Jun 1917-Sep 1918; 1 Day Bombardment Group, 10 Sep-Nov 1918; unkn, Nov 1918-17 Sep 1919; 1 Day Bombardment (later, 2 Bombardment) Group, 18 Sep 1919; Air Corps Training Center, 18-31 Jul 1927. 7 Bombardment Group, 1 Jun 1928 (attached to 17 Bombardment Group, 26 Apr-2 May 1942); 341 Bombardment Group, 15 Sep 1942-2 Nov 1945. Ninth Air Force, 1 Sep 1954; United States Air Forces in Europe, 1 Jul 1956 (attached to 7382 Guided Missile Group, 1 Jul-14 Sep 1956); 587 Tactical Missile Group, 15 Sep 1956-18 Jun 1958. 501 Tactical Missile Wing, 1 Oct 1982-31 May 1991; 2 Operation Group, 1 Jul 1994-. Stations. Camp Kelly, TX, 26 Jun 1917; Scott Field, IL, 12 Aug-6 Dec 1917; Winchester, England, 1 Jan 1918; Stamford, England, 9 Jan 1918; Waddington, England, 24 Jun 1918; Winchester, England, 7 Aug 1918; Le Havre, France, 12 Aug 1918; St Maxient Aerodrome, France, 14 Aug 1918; Romorantin, France, 20 Aug 1918; Delouze, France, 26 Aug 1918; Amanty, France, 6 Sep 1918; Maulan, France, 24 Sep 1918; Colombey-les-Belles, France, 17 Jan 1919; Guitres, France, 1 Feb 1919; St Denis de Pile, France, 19 Feb 1919; Sablons, France, 9 Mar 1919; Libourne, France, 13 Apr 1919; Bordeaux, France, 16-21 Apr 1919; Camp Mills, NY, 1 May 1919; Mitchel Field, NY, 2 May 1919; Hazelhurst Field, NY, 5 May 1919; Ellington Field, TX, 26 May 1919; Ft Bliss, TX, 23 Jun 1919 (flight operated from Marfa, TX, c. Aug-c. 5 Nov 1919); Kelly Field, TX, 8 Nov 1919; Langley Field, VA, 30 Jun 1922; March Field, CA, 3 Jun-31 Jul 1927. Rockwell Field, CA, 1 Jun 1928; March Field, CA, 29 Oct 1931 (operated from Winslow, AZ, 17-21 Jan 1932); Hamilton Field, CA, 5 Dec 1934; Ft Douglas, UT, 7 Sep 1940; Salt Lake City, UT, c. 18 Jan-13 Nov 1941; Brisbane, Australia, 22 Dec 1941 (operated from Muroc, CA, 8-c. 12 Dec 1941, and Singosari, Java, 13-19 Jan 1942); Jogjakarta, Java, 19 Jan-c. 1 Mar 1942; Melbourne, Australia, c. 4 Mar-6 Apr 1942; Columbia AAB, SC, c. 26 Apr-2 May 1942; Karachi, India, c. 20 May 1942; Allahabad, India, 27 May 1942; Kunming, China, 4 Jun 1942 (detachments operated from Kweilin, Hengyang, and Nanning, 30 Jun-20 Jul, 2-6 Aug, and 24 Oct-28 Nov 1942; from Dinjan, India, 28 Jun-c. 24 Oct 1942; and from Karachi, India, c. May 1942-21 Jun 1943); Kweilin, China, 21 Jun 1943 (detachments operated from Hengyang, Suichwan, Nanning, and Lingling, Jun 1943-Jun 1944); Yang Tong, China, 28 Jun 1944 (detachments operated from Kweilin and Liuchow, 28 Jun-1 Nov 1944); Yangkai, China, 2 Nov 1944- c. Sep 1945 (detachments operated from Laowhangpin, 28 Feb-c. Mar 1945, and Chihkiang, 28 Mar-1 Apr 1945); Camp Kilmer, NJ, 1-2 Nov 1945. Orlando AAB, FL, 1 Sep 1954-21 Jun 1956; Sembach AB, Germany, 1 Jul 1956-18 Jun 1958. RAF Greenham Common, England, 1 Oct 1982-31 May 1991. Barksdale AFB, LA, 1 Jul 1994-. Aircraft and Missiles. DH-4, 1918; included DH-4, MB-2 (NBS-1), and LB-1, during period 1919-1927. Primarily LB-7 and O-2 during period 1928-1931; included B-2, B-3, B-4, B-6, O-19, and O-38 during period 1931-1934; primarily B-12, 1934-1936, and B-10, 1936-1937; B-18, 1937-1940; B-17, 1939-1942; LB-30, 1942; B-25, 1942-1945; A-26, 1945. Matador, 1954-1958. Tomahawk GLCM, 1982-1991. B-52, 1994-. Operations. Combat as a day bombardment unit with First Army, 14 Sep-5 Nov 1918. Mexican border patrol, c. Aug-Nov 1919. Participated in demonstrations of effectiveness of aerial bombardment on warships, 5 Sep 1923. Antisubmarine patrols off California coast, 8-c. 10 Dec 1941. Combat in Southwest Pacific, c. 13 Jan-c. 1 Mar 1942. Combat in the CBI, 3 Jun 1942-20 Jun 1945. Missile operations, 1954-1958 and 1982-1991. Since 1994, trained B-52 combat crews; maintained readiness to deploy in support of national objectives; provided nuclear deterrence; maintained ability to sustain heavy firepower in global situations. Campaign Streamers. World War I: St Mihiel; Meuse-Argonne; Lorraine. World War II: Antisubmarine, American Theater; Philippine Islands; Central Pacific; East Indies; New Guinea; Western Pacific; India-Burma; China Defensive; China Offensive; Air Combat; Asiatic-Pacific Theater. Decorations. Distinguished Unit Citations: Netherlands Indies, 14 Jan-1 Mar 1942; French Indo-China, 11 Dec 1944-12 Mar 1945. Air Force Outstanding Unit Awards: 15 Sep 1956-30 Apr 1958; 1 Oct 1982-30 Jun 1984; 1 Jul 1987-31 May 1989; 1 Jun 1989-31 May 1991; 1 Jul 1994-31 May 1995; 1 Jun 1995-31 May 1996; 1 Jun 1996-31 May 1997; 1 Jun 1998-31 May 2000; 1 Jun 2000-31 May 2002. Emblem. Approved 3 Mar 1924.